Echo Park Dam and Reservoir.Information to date indicates that the Echo Park Dam, reservoir, and appurtenant structures and facilities would not affect the Quarry Unit of the monument. They would, however, seriously and adversely affect the Canyon Unit. The dam would be totally alien to the geology and landscape of the monument. It would be seen from the upper end of Whirlpool Canyon and from points along the rims of the canyon, and, from the viewpoint of monument values, would be a lamentable intrusion. Power lines would have a widely damaging effect upon wilderness and scenic values. Development of a power project would require the introduction of construction and operation roads and other facilities which would otherwise not be built. They could hardily be constructed without injury to geological and scenic values of the Canyon Unit. Far-reaching effects upon scenic, geological, and wilderness values would result from impoundment of the Echo Park Reservoir. The two-arm artificial lake would cover wholly or in part a number of fine geological exposures, would reduce the visible height of canyon walls, and would substitute long bodies of still water, widening here and there into bays, for the characteristic rivers and fringing vegetation which now lie in canyon bottoms. The Canyon of Lodore would contain a narrow fiord-like lake which would inundate a portion of the exposed geological formations in the canyon bottoms. The same is true of the Yampa Canyon. Particularly deplorable effects of the Echo Park Reservoir upon geological and wilderness features would occur in the localities of Pats Hole and Echo Park near the junction of the Green and Yampa Rivers and in Castle Park and Hardings Hole on the Yampa River. A large part of Pats Hole would be covered by the Echo Park Reservoir. The fine spring and Pats Cave where the interesting character, Pat Lynch, lived alone for many years, would be submerged. Even more unfortunate, would be the submersion of the floor of Echo Park, the great reduction in the visible height of the nearly vertical sandstone walls of Echo Park which rise several hundred feet above the floor, the inundation of about one-half of Steamboat Rock, and partial obliteration of noteworthy folds and faults so strikingly revealed in this area. Split Mountain Dam and Reservoir.A dam at the head of Split Mountain Canyon would detract materially from the geological and wilderness values of the entrance to the canyon. Construction operations would unavoidably cause some permanent scarring in the locality of the dam site. From the viewpoint of natural values, the Split Mountain Reservoir would adversely affect Little, Rainbow, and Island Parks. The cluster of islands in the river and the pleasant bottoms of brush, grasses, and fringing cottonwoods would be replaced by a large lake of three bays. The rushing river with its rapids and whirlpools in Whirlpool Canyon above Island Park would be replaced by a long, narrow body of still water. At the time this report was prepared, data were not available to the National Park Service from which to determine whether construction of a pressure tunnel from the Split Mountain Dam to a power plant 5 miles upstream from Jensen would affect the Quarry Unit. Concerning transmission lines, comments relating to the Echo Park project apply generally to the Split Mountain proposal. Other effects.Submersion of parks and the bottoms and slopes of canyons and entering draws undoubtedly would affect adversely the existing biota of the area. A number of interesting archeological sites would be submerged, particularly in the vicinity of Echo Park, Castle Rock, and Hardings Hole along the Yampa River. 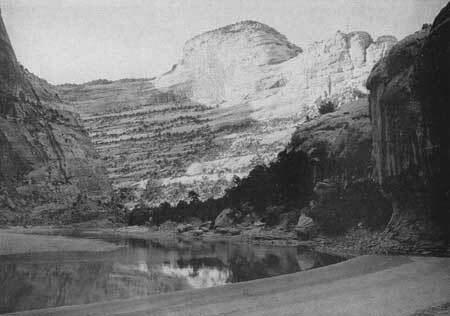 Summary.Construction of the Echo Park and Split Mountain Dams, reservoirs, and related temporary and permanent facilities would materially and deplorably alter the dominant geological and wilderness qualities and the relatively minor archeological and wildlife values of the Canyon Unit of Dinosaur National Monument. Its present scenic and scientific values and its wilderness character would be seriously altered. On the other hand, creation of the proposed Echo Park and Split Mountain Reservoirs would undoubtedly produce other recreational opportunities. 1. Protection of unimpaired resources and, through elimination of factors that have modified other natural conditions, the restoration of those other conditions to their original state. The modifying factors principally involved are agricultural pursuits which consist largely of grazing, and the presence of non-Federal lands within the exterior boundaries of the area. 2. Protection and preservation of archeological features. 3. Provision of such facilities as are necessary to enable visitors to study and enjoy the features of paleontological, geological, wilderness, and related interests, and as are required for proper recreational use and administration of the area. The policy of the National Park Service, as the administrative agency now primarily responsible for the national monument, has been, and is, to make the protection of the natural and archeologocal values of the area the controlling factors in administering it. The question of whether this policy is to be changed to permit water uses will require for its solution a review of all probable advantages and disadvantages arising from such use. Dinosaur National Monument is eminently qualified, in the absence of very strong special reasons to the contrary, to justify its retention as a unit of the National Park System. Certain parts of it should be made reasonably accessible by road and accommodations provided for visitors just as soon as funds become available. Before authorization is given to develop its water resources and to recognize water use as the principal consideration in the administration of the Canyon Unit, it should be clearly shown (1) that economic and social values deriving from such development and use would largely and certainly exceed the economic costs of producing them; (2) that it would be more economical to develop the water resources of the monument rather than other resources available for the same purpose within practicable reach; and (3) that it would be of greater benefit to the whole Nation to develop the area for water storage and power than to retain it in a natural state for its geological, wilderness, and associated values for public enjoyment. 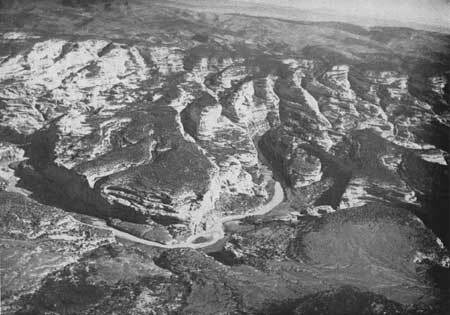 Figure 114.Meanders of Yampa River near its junction with the Green River. 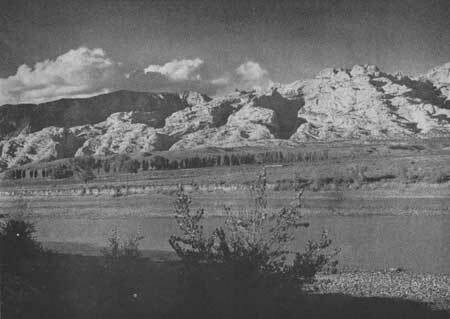 Figure 116.Split Mountain from the banks of the Green River.